If you’ve been a Pillsbury Member email subscriber as of 8/20 click here to visit the Pillsbury site and you’ll be able to request a free can of Progresso. Allow 6-8 weeks for delivery. Says not eligible for the progresso soup??? 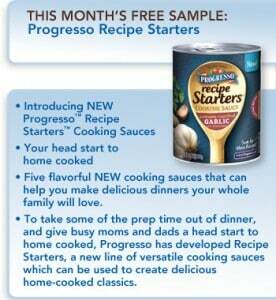 I use progresso in many recipes & think it is very good.